Libelium, a technology leader in wireless sensor networks, announces the completion of its Smart Cities platform. A new sensor board measures noise pollution, dust quantities, structural health and garbage levels. This board may be combined in a network with previously available sensor boards – for gas monitoring, radiation detection and Smart Parking. System integrators can now create a comprehensive range of services based on the Smart Cities platform. Today’s city councils face many challenges requiring effective monitoring. Noise pollution is a common environmental problem affecting both the quality of life and health. Atmospheric pollution - whether in the form of gases such as CO2 and NO2 or dust – is a threat to the health of urban dwellers by causing respiratory diseases. With many of the largest structures – including buildings, bridges and roads – located in cities, ensuring that such structures are sound – structural health monitoring – is critical for public safety. Last, but not least, traffic and parking management is a major challenge with the need to minimise emissions and avoid unnecessary journeys. Until now, some of these challenges have been addressed separately with separate vertical solutions; but city councils cannot afford to deploy one sensor network for each type of problem. 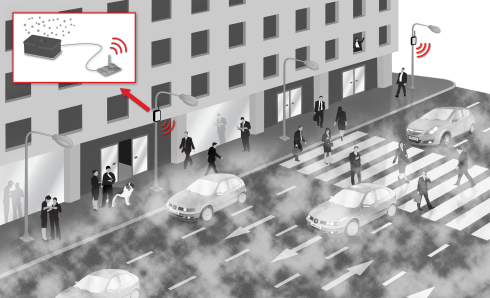 “Urban monitoring – whether relating to noise pollution, traffic management or structural health – can be addressed cost-effectively by wireless sensor networks”, says Alicia Asín, Libelium’s CEO. She explains, “Libelium is now able to provide system integrators with a complete technology for deploying all the services a Smart City needs using the same modular platform”. Factory-calibrated gas sensors allows to calculate the AQI (Air Quality Index) following the international worldwide directives measuring CO, NO, NO2, SO2. A noise / sound level sensor has been designed following the specifications of the IEC 61672 standard for sound meters. Specifically with an accuracy of ±0.5 dBA (1KHz) similar to the Class 2 type devices. This sensor can be used to detect noise from traffic and people and It is suitable for creating a real-time noise map of a city. A particulate matter (dust) sensor for measuring PM1, PM2.4 and PM10 concentrations. The new dust sensor gives extra accuracy detecting variations as small as 0.1 ppm in many cases. 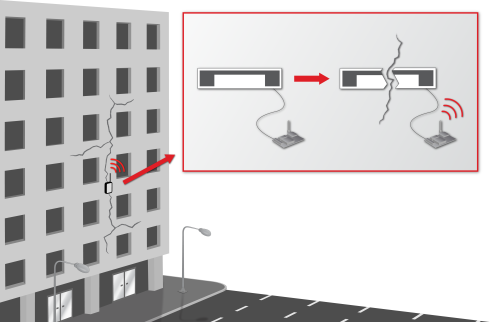 A crack sensor for measuring cracks in public structures such as buildings and bridges. It can detect displacements as small as 10 micrometres as well as oscillations and dilations. This sensor is applicable to Structural Health Monitoring. 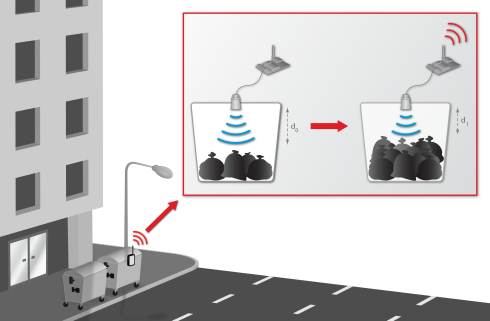 An ultrasound sensor capable of measuring garbage levels in bins. This can enable waste management services to empty rubbish only from bins that are sufficiently full thus saving time and fuel. The board also includes temperature, light and humidity sensors. The Smart Cities platform enables system integrators to deploy a heterogeneous wireless sensor network with a combination of sensor boards for city councils. The platform is based on Libelium’s modular Waspmote wireless sensing technology. System integrators can exploit Waspmote’s modularity and open source software to create custom solutions for a particular city. Motes or nodes in the network communicate with their gateway using a wide range of radio interfaces such as XBee, WiFi, 4G, Sigfox or LoRaWAN. The platform’s outstanding low power performance ensures that Smart City networks have minimal battery requirements or can work from solar power. Libelium won the Best of Sensors Expo award in the category of data acquisition at the 2011 Sensors Expo for their radiation sensor board.